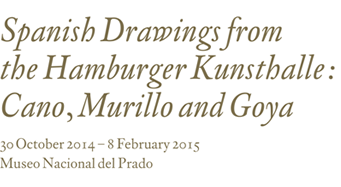 Spanish Drawings from the Hamburger Kunsthalle: Cano, Murillo and Goya, Museo del Prado, 30 October 2014 – 8 February 2015. 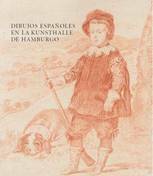 Previously on display as The Grand Gesture: Drawings from Murillo to Goya from the Hamburger Kunsthalle, at the Meadows Museum, Dallas, this exhibition has moved to the Museo Nacional del Prado, Madrid. A significant percentage of the collection, acquired for the Kunsthalle’s Kupferstichkabinett (Department of Prints, Drawings and Photography) by its first Director, Alfred Lichtwark (1852-1914), is on view. The exhibition is accompanied by a complete catalogue of all the drawings in the collection, written by Jens Hoffman-Samland with the collaboration of María Cruz de Carlos Varona, Gabriele Fialdi, José Manuel Matilla, Manuela Mena and Gloria Solache, curators at the Museo del Prado. The exhibition has been co-organized by the Meadows Museum, SMU; the Museo Nacional del Prado; the Hamburger Kunsthalle; the Centro de Estudios Europa Hispánica; and the Center for Spain in America. This entry was posted in Murillo, Museo del Prado, Spain, Spanish Art and tagged Alonso Cano (1601-67), Center for Spain in America, Centro de Estudios Europa Hispánica, Drawings, Exhibitions, Francisco Goya, Hamburger Kunsthalle, History of Collecting, Kupferstichkabinett, Madrid, Meadows Museum, Murillo, Museo del Prado, Spain, Spanish Art, Spanish drawings on November 3, 2014 by Clare Hills-Nova.